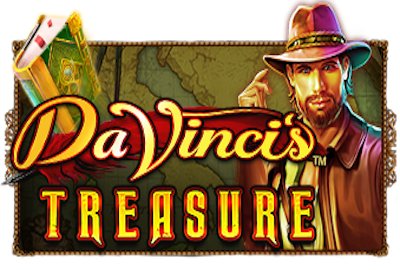 John Hunter And The Secrets Of Da Vinci’s Treasure is the grand title of this 5 reel, 25 payline slot from Pragmatic Play. Taking inspiration from The Da Vinci Code and Indiana Jones, this slot takes you on a quest to discover hidden treasure behind great works of art. It all sounds incredibly far-fetched and something even Hollywood would baulk at. With that in mind we decided to take a closer look at Da Vinci’s Treasure. The reels for this game are set on a map that’s held down by a compass and candle. It’s easy to spot the Indiana Jones influence in regard to the title graphics and look of the hero. However, there’s enough variation to avoid any issues with Messrs Lucas and Spielberg. John Hunter represents one of the icons on the reels and he’s joined by a crossbow, scrolls, notebook and a satchel. Joining the 9, 10, J, K, Q and A symbols is a Da Vinci wild. Wagering on John Hunter starts at just 25p a spin. This can be adjusted up to a maximum of £125 by increasing coins per line and coin value. An auto-play option is available. This affords quick spin and turbo spins options as well as settings to limit autoplay based on wagering and wins. According to Pragmatic Play it’s possible to win x48,000 your bet on this game. The slot is compatible on mobile, tablet and desktop. The scroll symbol represents the bonus – get three of these symbols on reels 2, 3 and 4 to activate the bonus round. The bonus round offers players three random games: Map Quest, Progressive Multiplier Free Spins and Prize Picker. Map Quest is perhaps the most exciting of these games. Spin the wheel of fortune to move on the map. Each point represents a potential money award. Can your luck hold to reach point 23 and the end of the quest? The Progressive Multiplier Free Spins may be where the big wins can occur. This round can be retriggered to give up to 60 spins. Furthermore, the win multiplier increases x1 on every win. In thoery it would be possible to get a x60 multiplier if luck is on your side. An interesting feature on this game is that you can gamble your bonus win. The amount can be gambled up to x5 by playing a simple selection game. For example if you wish to gamble x3 then a player needs to select one box from three with the multiplier. The other two boxes contain nothing and therefore the bonus win would be lost. John Hunter And The Secrets Of Da Vinci’s Treasure sounds like it should be a movie. The game itself is good fun and flows nicely. Dramatic music accompanies each spin, although the “galloping horse” sounds that accompany the reels dropping in feels a bit cheap. Aside from that the graphics are great and there’s suitable drama when the bonus round makes a once in a long time appearence. Although this is a high volatility slot, you do still pick up enough small/medium wins to keep on spinning. Overall, it’s all good fun and we’d anticipate to see John Hunter pop up in future Pragmatic Play slots. New Players Only. First 3 deposits only, Min deposit £10, Max Bonus £500 and 100 spins on Cleopatra, Selected Slot games only, 30x wagering (dep + bonus) 5x conversion 18+. begambleaware.org. New Players Only. 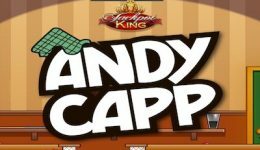 First 3 deposits only, Min deposit £10, Max Overall Bonus £500 & 100 spins on Da Vinci Diamonds, Selected slot games only, 30x Wagering (dep + bonus), 5x conversion. 18+. begambleaware.org.